Holland Cotter was on top of Francis M. Naumann's current show about Duchamp, chess, and contemporary art this weekend, but it's worth another note. This is one of the most fun shows in New York right now. 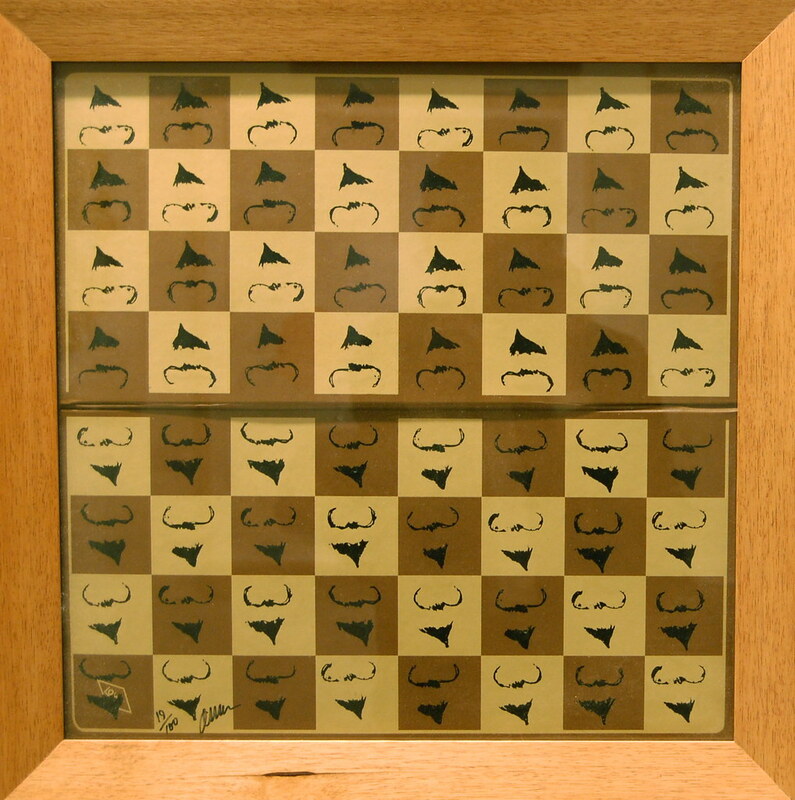 It takes a ton of Duchamp ephemera (chess notations, a few letters, a few editions and pieces of art), adds a ton of chess sets (by Dali, Man Ray, Ono, and others), and includes other chess-related pieces of contemporary art. 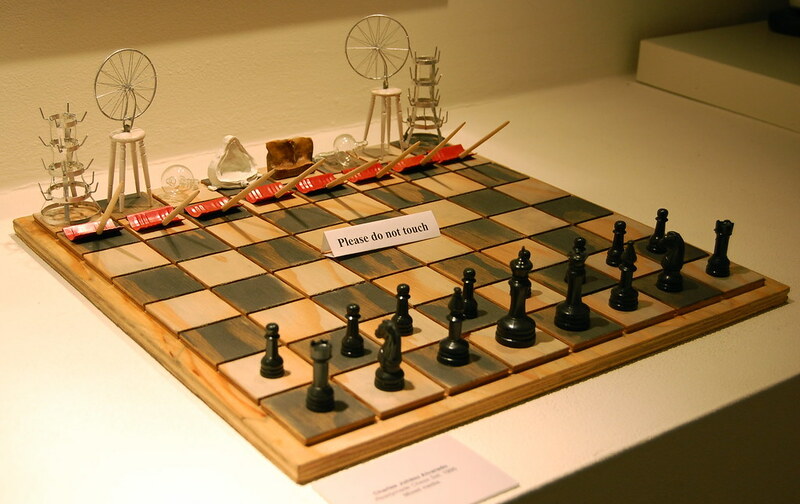 Here are a few of the chess sets. The show closes after Friday. 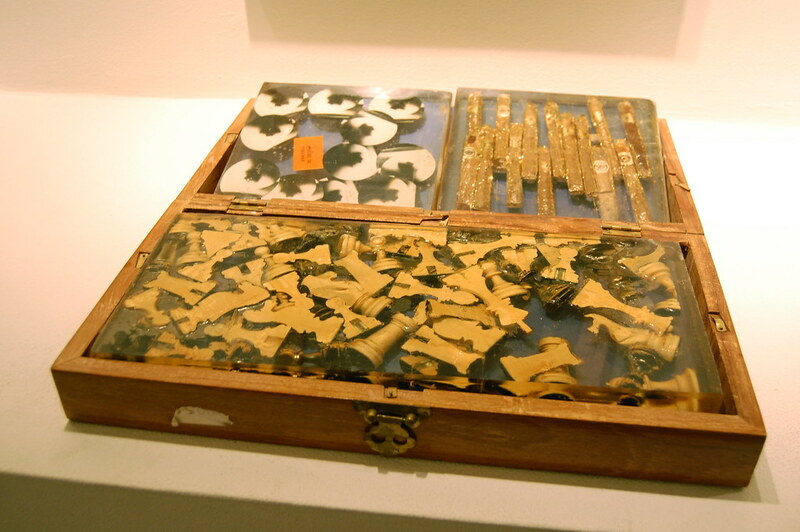 The pieces of the Dali chess set above were molded from his own fingers. (The rook is the pepper shaker from the St. Regis Hotel.) 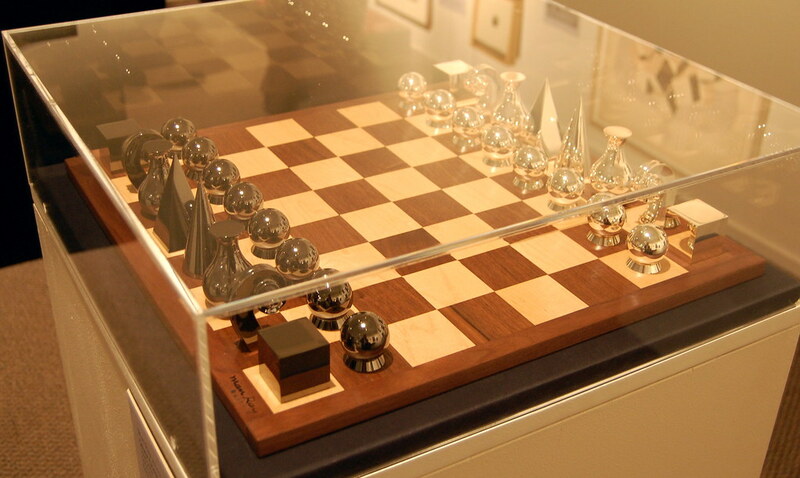 In a 1971 letter to Sidney Wallach of the American Chess Association, Dali explained the design he had completed in honor of his late friend Duchamp: "In chess, as in other expressions of the human alchemy, there is always the creator, above all, the Artist as Creator. It is this that I wanted to be represented: the hand of the Artist, the Eternal Creator. How better to express this vision than by sculpting my own hand, my own fingers?" One wonders if Maurizio Cattelan knew about the piece. The edition he created donors to the X-Initiative (below) — which plays so nicely with some of Bruce Nauman's sculptures — is a perfect complement to Dali's set. 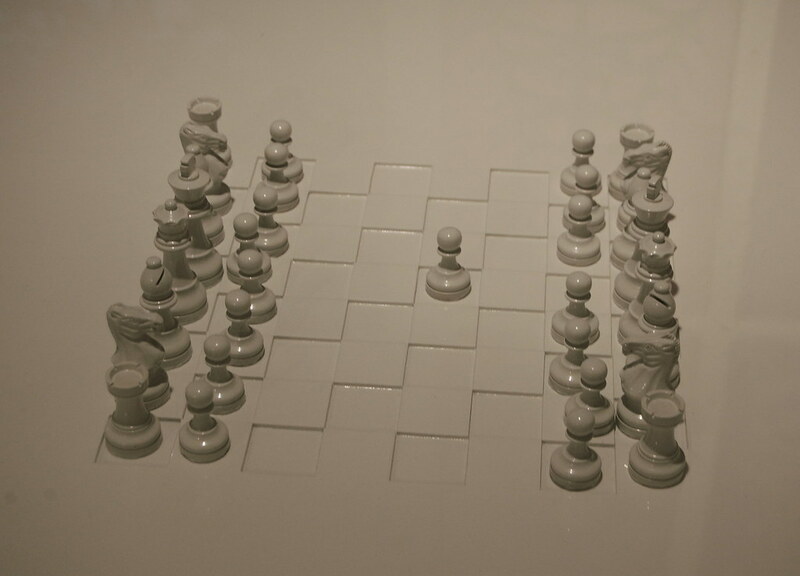 Updated: Writer Brian Sholis has written in to mention that Maurizio Cattelan has developed a choice chess set himself. The opposing kings take the form of Hitler and Martin Luther King, Jr. View an image and learn more. 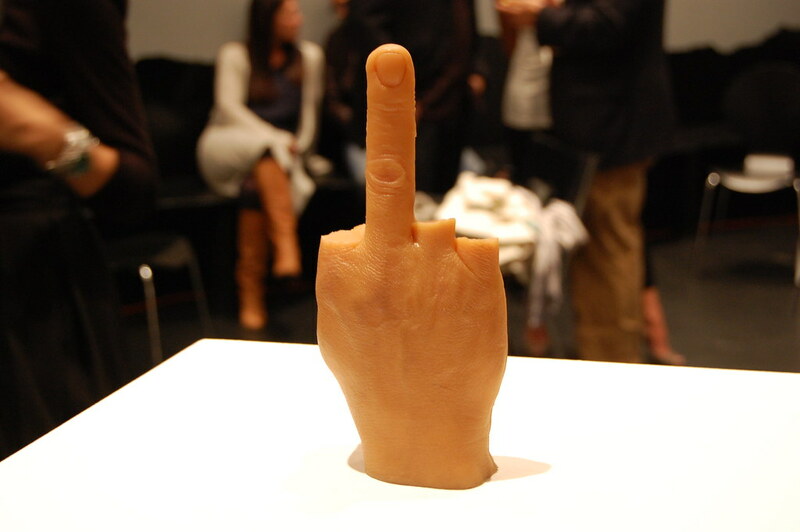 Maurizio Cattelan's hand, edition of 80, available to X-Initiative donors, on display at X. 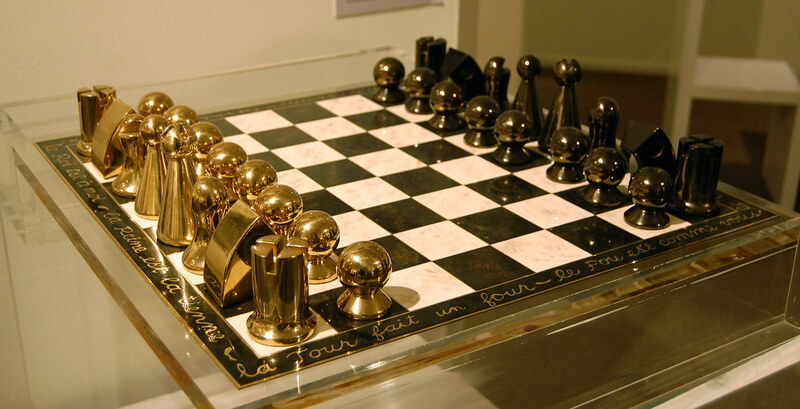 "Marcel Duchamp: The Art of Chess"